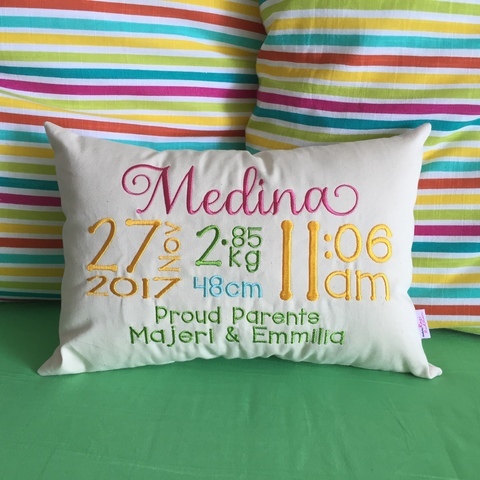 A Baby Announcement Pillow is an embroidered pillow with the baby’s statistics. 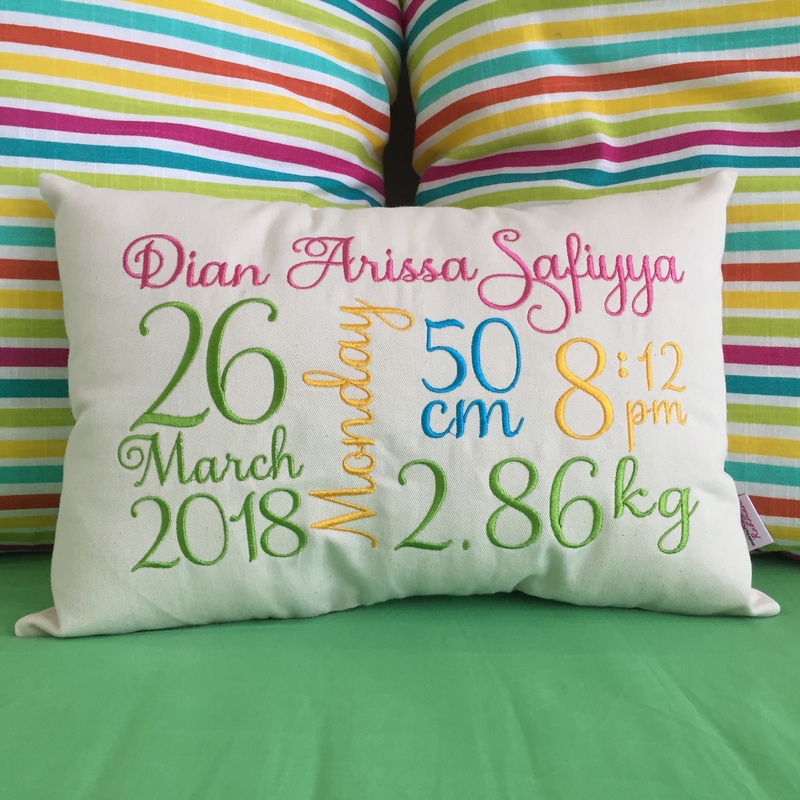 The pillow measures 16 inches wide and 11 inches height. It’s embroidered onto a untreated canvas so the embroidered details are more pronounced. 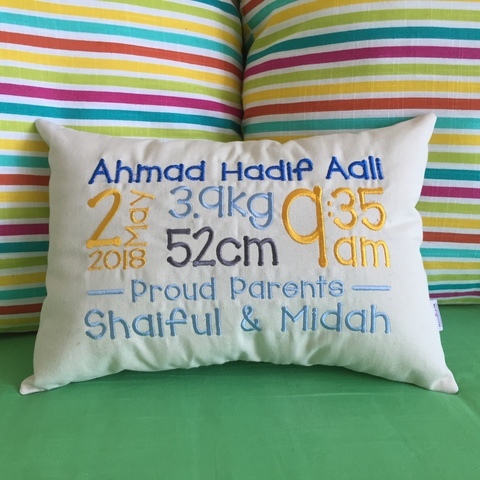 To order the pillow, please provide the information you wish to be embroidered by emailing us at rozirahman@gmail.com and allow three to four weeks for delivery. The pillow is embroidered directly onto the pillow (no separate insert). The pillow is machine washable.